Tue, May 29, 2018, 7:00 PM: We're back with our general WordPress Meetup! This month we'll be talking about all sorts of stuff, WordCamps, GDPR, Gutenberg and anything else that's on your mind that's fit to chat about. This is our advanced topics (developer) meetup. You should come on out but be prepared to participate as we go round table style to get you all the best knowledge and developer news out there. 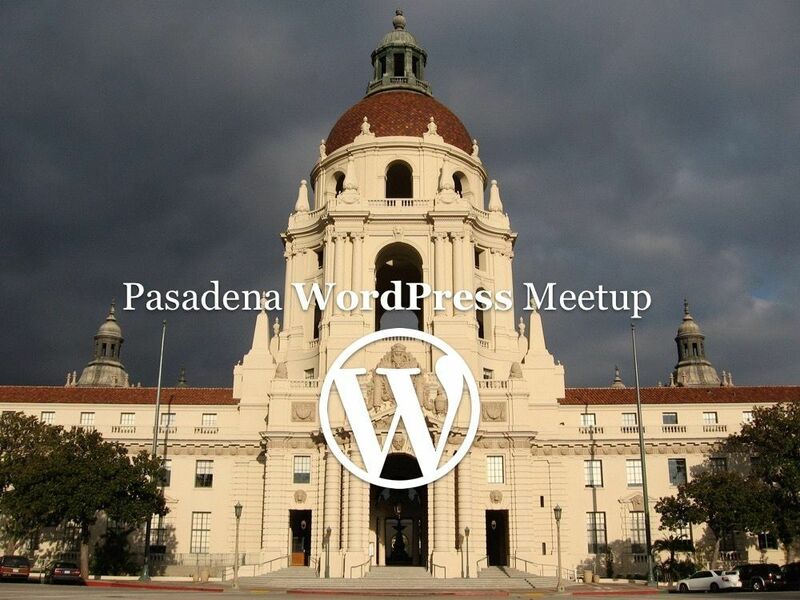 This edition of the WordPress Pasadena Developer Meetup will be Tuesday, May 22, 2018, 7pm @ Cross Campus in Old Towne Pasadena. RSVPed Attending WordPress Pasadena General Meetup, March 2018 Edition! Oh man! 2018! Welcome!!!! Who'd a thunk it? We made it out of 2017!! 2018 is another chance to see if we can ply our knowledge in the ever changing world of web tech. We're back at it again for our monthly WordPress user meetup. Come curious with your wonderful questions. My Fall/Winter math class is over and I’m free to catch up with the gang again. I was going to take the week off for the holidays, but seeing a group of people rally around the hashtag #newwwyear to get excited about building and updating their personal websites has inspired me to host an online Homebrew Website Club meetup during the holidays. This is a virtual/online HWC meetup for website builders who either can’t make a regular in-person meeting in their city or don’t yet have critical mass to host one in their area. Everyone of every level is welcome to participate remotely! Don’t have a domain yet? Come along and someone can help you get started and provide resources for creating the site you’d like to have. A link to the virtual meetup on Google Hangouts will be posted on the day of the event. Check back before the quiet writing hours/meeting to get the link. Optional quiet writing hour: 19:30–20:30 ET (16:30-17:30 PT) Use this time to work on your project (or get some help) before the meeting. Keep in mind that there is often a European virtual meetup if those times work better for your schedule. Tuesday, July 25, 2017 from 7:00 PM to 9:00 PM; Cross Campus, 85 N. Raymond Avenue, Pasadena, CA (map) Howdy everyone! Welcome to our July general WordPress user group! We discuss all the things WordPress here. If any of you would like to do a presentation post your idea in the comments. Bring your curiosity, your questions, your swell attitude and lots of potatoes. J/k, just bring your smiling faces. Interested in using WordPress to create an online presence? Got questions? Come join us tonight in learning together. Tuesday, July 18, 2017 7:00 PM to 9:00 PM Cross Campus 85 N. Raymond Avenue, Pasadena, CA (map) Hi all and happy July! We are planning a WordPress Pasadena Developer Meetup for July 18, 2017, 7pm @ Cross Campus in Old Towne Pasadena. We also decided to change the title of this sub-group to WordPress Pasadena Developer Meetup in order to focus more on developer-oriented topics. We're still experimenting with the exact format and would love to hear your feedback in this next meeting! This meetup is for a discussion of topics pertaining to WordPress development. The best thing you could do on a Tuesday evening, right? A nice crowd showed up for tonight’s Advanced WordPress Mettup. Sadly I couldn’t get a wide enough angle to catch the ~10 people in the room. DreamHost is a proud sponsor of @indiewebcamp meetups! Meetup.com June and Bloom Edition!